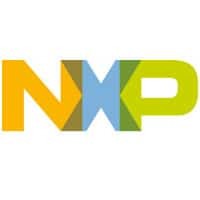 PARTNER NEWS: NXP Semiconductors has unveiled a ‘plug and play’ NFC controller with integrated firmware and an NCI interface that is aimed at accelerating NFC adoption in the internet of things (IoT) by allowing hardware makers to rapidly build the technology into any device. “The highly integrated PN7120 helps create innovative NFC solutions and enables fast exploration of new applications and use cases for IoT and the smart home, including a variety of appliances and consumer electronics such as home network gateways and routers, set-top boxes, audio devices, printers, gaming consoles and more,” NXP says. NXP Semiconductors, the leader in Near Field Communication (NFC) solutions, today introduced the PN7120 to accelerate NFC adoption in the Internet-of-Things (IoT). The highly integrated PN7120 helps create innovative NFC solutions and enables fast exploration of new applications and use cases for IoT and the Smart Home including a variety of appliances and consumer electronics such as home network gateways and routers, Set-Top-Boxes (STBs), audio devices, printers, gaming consoles and more. Today, many Smart Home devices are based on Linux or Android. The integrated solution includes all RF communication protocols for NFC, NFC controller interface (NCI) and Linux and Android drivers to ease development. For example, integrating the PN7120 into a TV can enable convenient pairing to a router and introduce new use cases beyond traditional TV consumption such as personalized access, video on demand payment, maintenance and commissioning. The PN7120 features an NFC contactless reader IC and embedded firmware with integrated communication protocols relevant for NFC. Through its drivers and software, the solution is optimized for Linux and Android, and easy to integrate in any other embedded operating system (OS). It uses the standardized NFC controller interface (NCI) maintained by the NFC Forum, to speed integration with the system’s main controller. The PN7120 comes with a Single Board Computer Demo Kit, including interface boards for the latest Raspberry Pi releases and for BeagleBone, which both belong to the standard equipment of developers. The solution is available now through NXP sales channels, please contact NXP sales for further information or visit www.nxp.com/nfc for more information. NXP Semiconductors creates solutions that enable Secure Connections for a Smarter World. Building on its expertise in High Performance Mixed Signal electronics, NXP is driving innovation in the application areas Connected Car, Security, Portable & Wearable and Internet of Things. NXP has operations in more than 25 countries, and posted revenue of $5.65 billion in 2014. Find out more at nxp.com.